The year you were born announces only your entry into the vast world. Rest of the years where you prove your worth, are the ones worth celebrating. Happy birthday. Fish live in water, birds sail in the sky. Celebrate your birthday with pomp and show, before the time fly. When I turn old, and might be feeling old, I’ll probably call you up because as old as I would feel, you’ll be feeling older. Happy birthday old man. Don’t you think that by celebrating your birthday and getting all these gifts you’re taking credit for someone else’s hard work? In this case your mom and dad. Happy birthday!! Hope you have a blast at your magical birthday party. There would be fairies, glass slippers, goblins and I hope you actually get to ride in a pumpkin. Happy birthday!! Happy birthday dear fellow. I hope you keep your wits around and don’t get bedshiting drunk tonight. A good friend is not one who wishes you birthday; he is the one who rings the fire department up before you blow the cake. I have done the job. Cut your cake without fear. Happy birthday dear. If i could pluck a star each to do away with the wrinkles visible on you, then I would do it. But then I might be sued for emptying the sky. Happy birthday. You are a year older now but i was wondering have you grown any smarter with age. Tell me what came first hen or egg and i will be the judge of this little game. Happy birthday!! You are like the old monk, not that you are wise but you do smell like rum… happy birthday buddy!! I am so happy that it is your birthday today, not because you survived one more year but because I am going to get a grand party today… happy birthday old man!!! You should be young at heart always but that doesn’t mean that you can hide your age… happy birthday dear..
You know today is the birthday of a great man!! oh wait I wasn’t talking about you though… happy birthday by the way..
You know I can do anything for you except for listening to you…hahaha have a happy birthday dear. You know your birthday must be announced as a national holiday not because you are so special but because the world has been facing a disaster ever since the day you were born. Hey today I am going to take you out to dine in the best hotel and celebrate your birthday in style but don’t worry about my pocket because it’s you who’ll pay the bills…happy birthday mate.. It must have been such a pleasant day when you were born.. not because you’re a sweetheart but because god must have been so happy to get rid of you…happy birthday!! 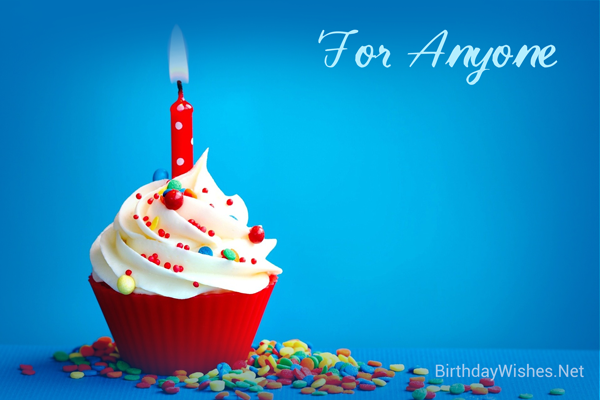 Check out this amazing collection of sarcastic birthday wishes, the sarcastic birthday wishes on this page incorporate the messages from these article, but feel free to add your own.